With enthusiasm and stars in our eyes, NCache was launched in July 2005. And wow have we all come a long way since then! We’ve grown up with the .NET community and its adoption of caching solutions. Back then, caching was pretty new for .NET. I remember we wrote articles, created slideware, went to shows, meetups and prospects everywhere educating developers and managers about the benefits of caching, how to architect it and what it can do for the enterprise. At the time, .NET itself was not used as much in high transaction, high traffic applications as it is today. But it took hold. And then the explosion in ASP.NET and .NET Web Services took off. Because .NET is such an easy environment to program in, and developers love the tools they get, use of these technologies kept on growing. Today Internet of Things drives further growth, especially with the integration of smart devices. So we’ve pretty much been through the entire .NET ‘scalability movement’ where server side applications need to scale because of booming web technologies, with more and more users and now…Big Data. With .NET reaching as much as 30% share of the server market in some industries, there is sizeable, growing demand for caching. We’ve seen NCache become more and more important for customers. We are blessed that NCache has top brand recognition in .NET developer community. Because of this, when the need arises for caching, .NET developers often turn to NCache first. Enterprises that don’t have budget – but need scalability – choose the NCache Open Source version released at the start of this year. Previously these folks would look at Microsoft AppFabric – a free caching solution. When Microsoft announced AppFabric support would be discontinued, NCache saw another round of interest from some of the biggest and fastest data companies we’ve seen. Thanks to all of you, we are celebrating 10 years of NCache success. Since 2005 these 10 happy years have shown steady progression with the .NET development community. 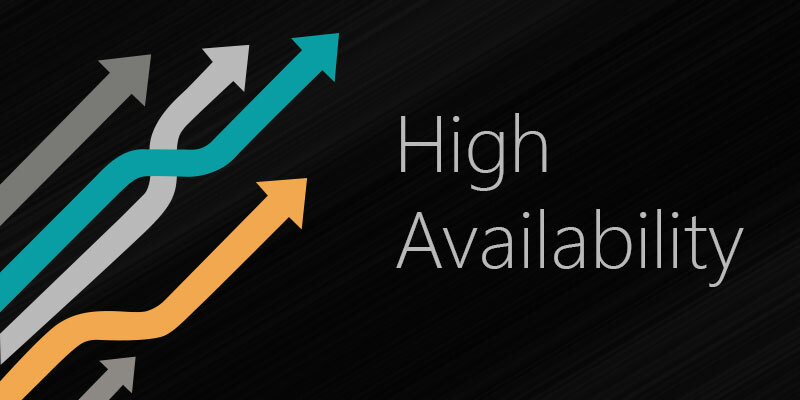 With high transaction apps growing and just a few full featured distributed caching options in the market, we’ve had a pretty smooth time convincing development shops they can use, and rely on, NCache for mission critical apps. Overall NCache has been at the right place at the right time… in fact a little ahead of the curve. It gave just enough time for the product to mature. When the need for fast data spiked, our customers were relieved to have an ‘already stable, battle-tested product’. Now after 10 years we serve hundreds and hundreds of customers in every possible industry. Many run NCache non-stop, and some have run non-stop for years. We call that success!! NCache is loaded with distributed caching features that are typically available with In-Memory Data Grids (IMDGs) built on Java. So we developed a Java version of NCache from the ground up. It’s called TayzGrid (you can find it at tayzgrid.com). TayzGrid is an In-memory data grid with the same maturity as NCache. The NCache source code was converted into native Java code. It incorporates all those bug fixes and feature implementations from 10 years of NCache evolution. From the first release TayzGrid is a fully mature product making it a strong option among the IMDGs available today. Building on business’ comfort level of NCache – and success of TayzGrid with its Big Data analytics, we are evolving more. So far, Big Data capabilities have been driven by the Java projects Hadoop, Apache Ignite and Apache Spark. As Big Data grows in popularity in .NET, I expect Microsoft will be entering this space and am seriously looking forward to this. When Microsoft provides their equivalent of Hadoop and Spark, we will be filling the requirements for Big Data with NCache, replicating what Apache Ignite offers for Java. Look for .NET Big Data in 2016. And we look forward to serving your organization with NCache – to make your enterprise data run faster, with zero data loss, in the years to come. Thank you for helping us achieve 10 years of success with NCache!